Made a day trip to NYC today - picked up Meredith, our BU sophomore, on her way home for spring break - and spent the day with Liv, our Parsons freshman - her break is next week. 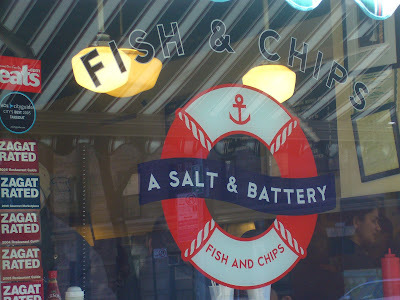 First things first - lunch - at A Salt and Battery - in the Little Britain section of Greenwich Village - a tiny, little hole in the wall restaurant making delicious and authentic fish and chips - weekly fat quotient in one meal! 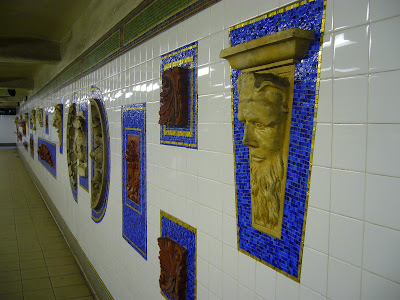 After that we were on the 3 subway to Brooklyn - the Park Slope section - we've never explored this section of Brooklyn. 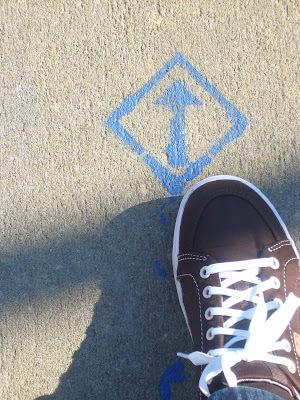 Olivia told us that the artist responsible for the arrow below, and seen in many locations in Brooklyn, spoke with her class earlier this week - she is graphically mapping Brooklyn with these directional symbols - it's art. 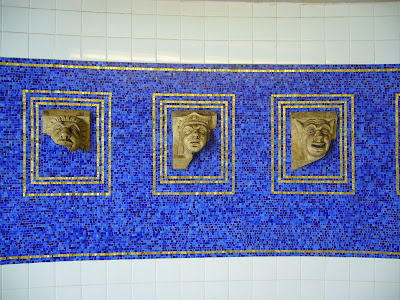 The following 3 photos are of mosaics on the walls of the Brooklyn Museum Subway Station - it is a beautiful station. 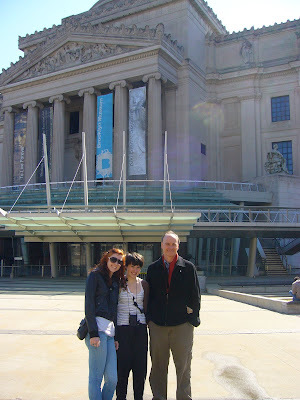 Here's my family outside of the Brooklyn Museum of Art. We didn't have time to take in the museum today - Liv's mid-term week has her under a great deal of pressure --- next time. 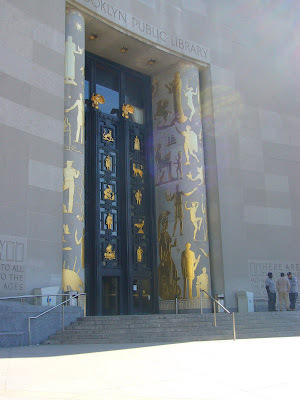 This is a photo of the entrance to the Brooklyn Library - again, beautiful. 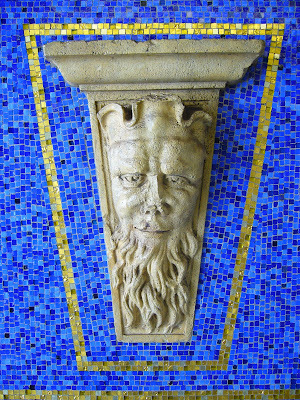 Guess what I found in Brooklyn - an excuse to return, well, many really. 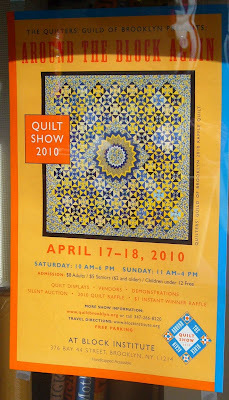 One in specific is an upcoming quilt show sponsored by the Quilters' Guild of Brooklyn - girls - time for a field trip! 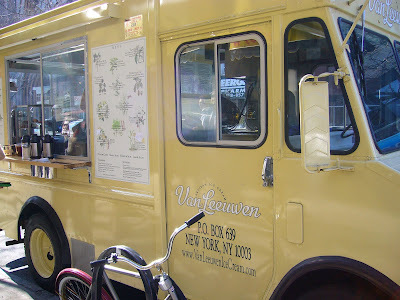 Look what we found on Park Slope - the Van Leeuween ice cream truck (parked right out side of Haggen Dazs - that took nerve!). Yes - I know we had more fat today than nutritionally correct, but it's not everyday you find the Van Leeuween truck! 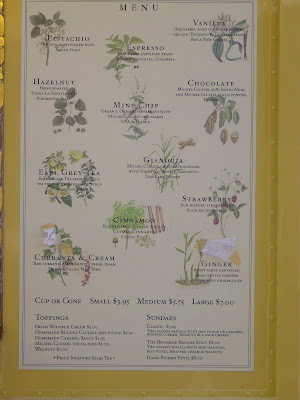 We sampled the vanilla, mint chip and Earl Grey - all delicious, and LOCAL! I would have loved to snap photos of all of the beautiful homes on Park Slope, but you'll have to visit to see for yourself - the neighborhoods reminded us of Notting Hill in London. 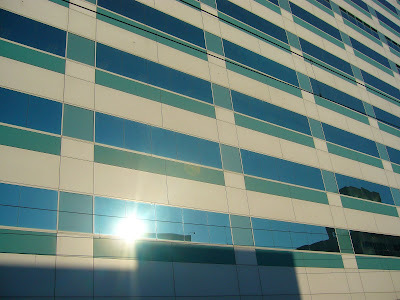 I love reflections on mirrored buildings - I'm always looking up to see the reflections. In this case I was looking in the wrong direction. 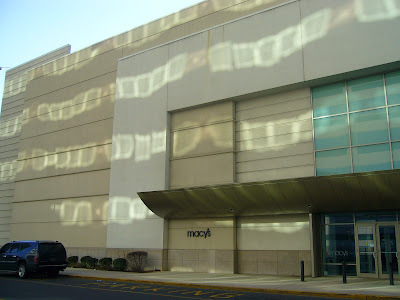 Here is the mirrored building - nothing interesting. 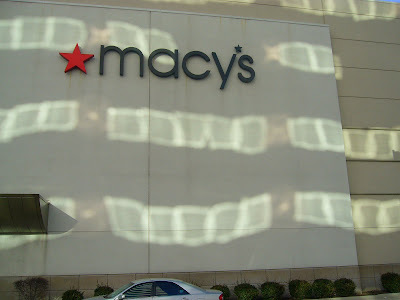 Meredith pointed out the show was really across the street on the Macy's building - take a look at the reflections - how cool! I actually made a visit to the Lion's Brand flagship store in NYC today, finally - but enough already - I'll save that for tomorrow - what a fantastic shop!